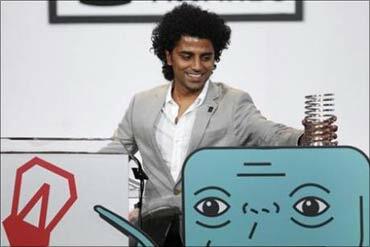 Three Indian-origin persons, including Foursquare's Naveen Selvadurai, have been named in Vanity Fair's 'Next Establishment 2010' list that features young 'empire builders' poised to become the next top moguls. All three are new entries on the list. The magazine said the 39 people listed in Next Establishment 2010 'are doing some empire building of their own -- be it through iPhone apps, web retailing, fashion, entertainment, or environmental causes'. 'Judging by their early achievements, it may not be long before they find their way onto the New Establishment', which is Vanity Fair's list of 100 most influential people of the Information Age. The list also features music and culture web site Desi Hits co-founder Anjula Acharia Bath. Bath, who ranks number two on the list, co-founded DesiHits.com, a web site about South Asian, particularly Indian music, lifestyle and culture. "What started out as a hobby -- uploading podcasts of Indian-flavoured dance music -- has turned into a veritable marketing machine that specialises in all things Desi, or South Asian." "Her web site offers a continuous stream of content that covers everything from Bollywood gossip to the latest remix with Indian beats," Vanity Fair said. Among the entrepreneur's high-profile backers are Interscope Geffen A&M Records chief Jimmy Iovine, the hedge fund D E Shaw and investor Vivi Nevo. Foursquare's founders 28-year-old Naveen Selvadurai and Dennis Crowley, 33, rank number 9 on the list. The duo's 'cool mobile start-up' enables young urban hipsters to tap on their smartphones to 'check in' whenever they are at a bar, restaurant, or any other venue, letting friends know where they are and how they like the place. Whoever checks in the most at a particular place is named its 'mayor'. 'Foursquare quickly caught on after launching in Austin in early 2009, and now it is spreading globally, with close to three million users and more than one million check-ins a day,' the publication said. 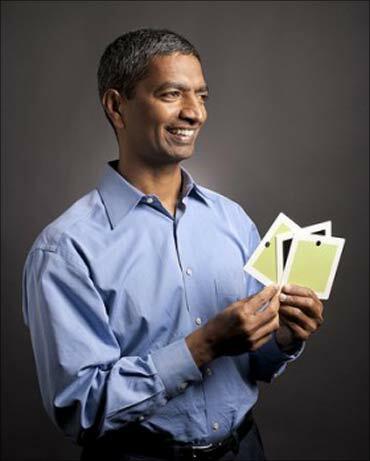 On the number 33 spot is founder and CEO of Bloom Energy K R Sridhar. Bloom Energy makes the Bloom Box, a device that converts natural gas into electricity with drastically lower carbon emissions. 'After spending eight years operating in stealth mode, Sridhar's Silicon Valley outfit finally unveiled the Bloom Box. The box can work anywhere, from 'greenifying' the headquarters of big corporations (Google, eBay, FedEx, Wal-Mart, and Coca-Cola are already customers) to electrifying developing nations, where an estimated 2.5 billion people live off the grid,' Vanity Fair said. Sridhar, 49, is aiming to have his mini-power plants in every home within 5 to 10 years. Also featured in list are NBC Universal Cable Entertainment president Bonnie Hammer; heir apparent to the Polo Ralph Lauren empire David Lauren; chairman of Berkshire Hathaway's MidAmerican Energy unit David Sokol; and tennis stars and entrepreneurs Venus and Serena Williams. Vanity Fair said the tennis sisters have become a 'rarity' in the sports world by forging successful business careers separate from their athletic prowess. Venus, 30, runs an interior-design firm, founded the fashion line EleVen and recently saw her book Come to Win: Business Leaders, Artists, Doctors, and another Visionaries on How Sports Can Help You Top Your Profession chart on The New York Times's best-seller list. Serena, 28, designs her own line 'Aneres' and also has a collection with Nike in addition to being on her way to getting her manicurist's license. Together they bought a stake in the Dolphins, making themselves the first African-American women to own a stake in a National Football League team. 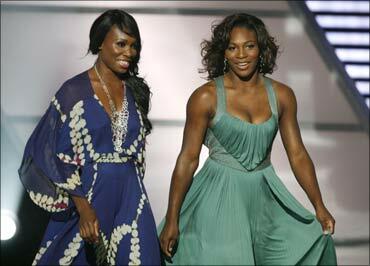 Image: Tennis stars and entrepreneurs Venus and Serena Williams.